Mobile gaming is fun. It’s an easy way to game on the go with tons of games being relatively cheap. What’s not fun about it is the fact that some games just don’t work quite as well with touchscreen controls or aren’t as enjoyable. Mainly these were games that were traditionally played with a controller but don’t translate well to touchscreen. So what is one to do in this situation? Easy. Just pick up one of the many Bluetooth controllers out there that work with your device, in my case for this review, I needed and controller that worked with Android and hope that it works for the games you want to play. I decided to go with the SteelSeries Stratus XL for Windows + Android mainly because the controller featured an Xbox like layout and because it supposedly works on both Android and Windows. 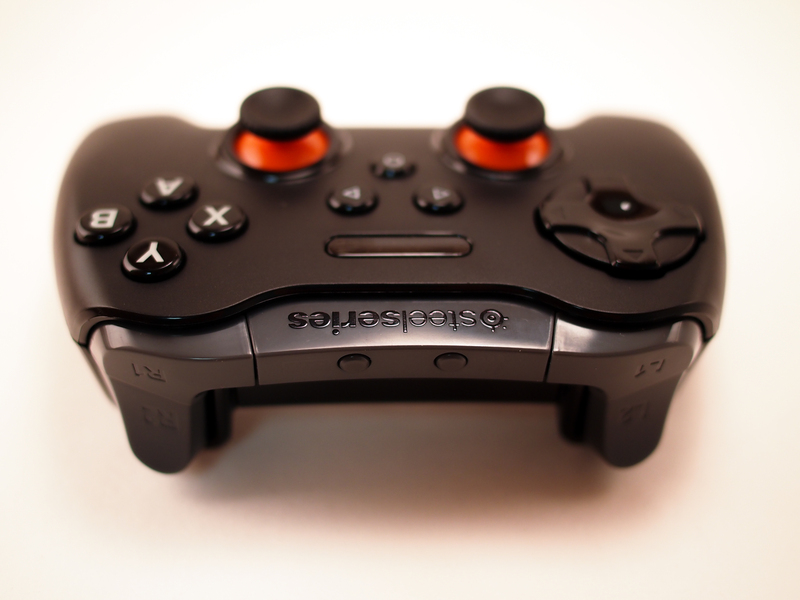 The SteelSeries Stratus XL looks pretty much like an Xbox One controller. It’s not an exact copy, but it’s heavily influenced by it and not an entirely bad thing as the controller is very comfortable to hold. 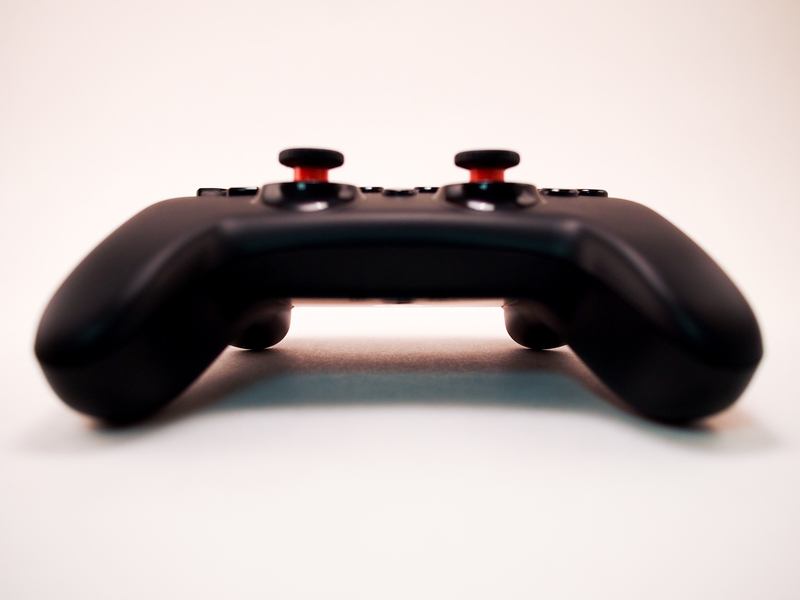 The controller however lacks an arm extension that would allow you to attach your smartphone to it so you’ll have prop up your smartphone or tablet up with something else while using the controller. Not a big deal but not as handy. What I will say is that the Stratus XL has a very premium feeling to it. The plastic feels very strong with the controller having a hefty feel to it. This doesn’t feel like some cheap, toy-like controller. 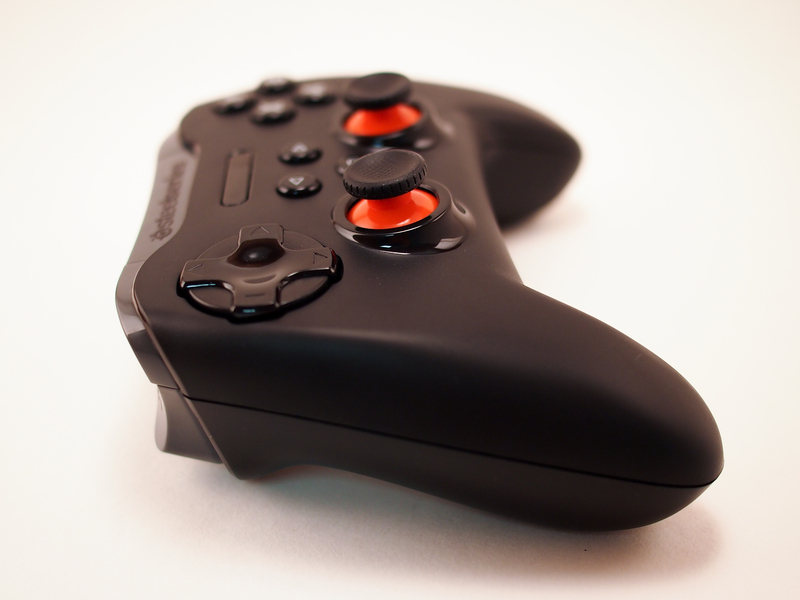 This is a controller that feels just as good as the official Xbox One controller. 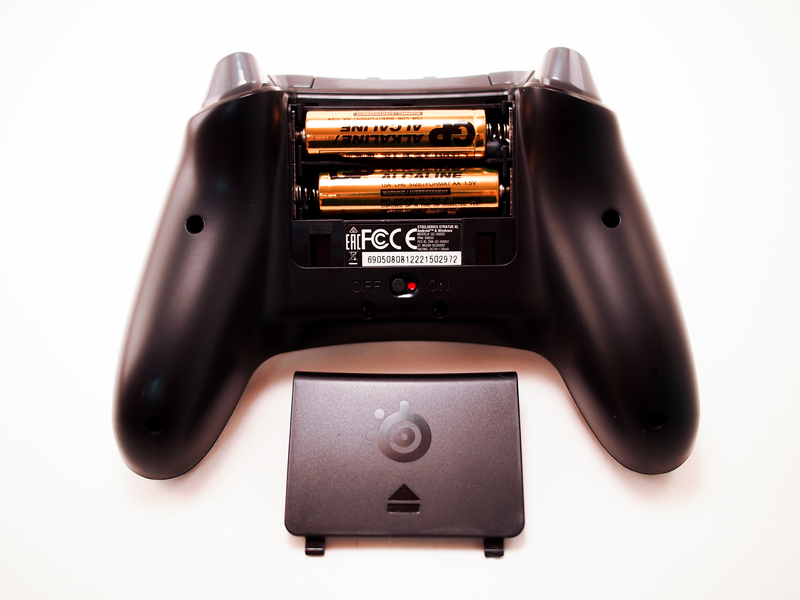 The Stratus XL is powered by two “AA” batteries and is easily paired with your devices via Bluetooth. Unlike something like the MOGA controllers, you don’t need a separate app for it to function correctly. I won’t talk much about Windows usage because I just can’t quite seem to get the Stratus XL to work on my Windows machine. 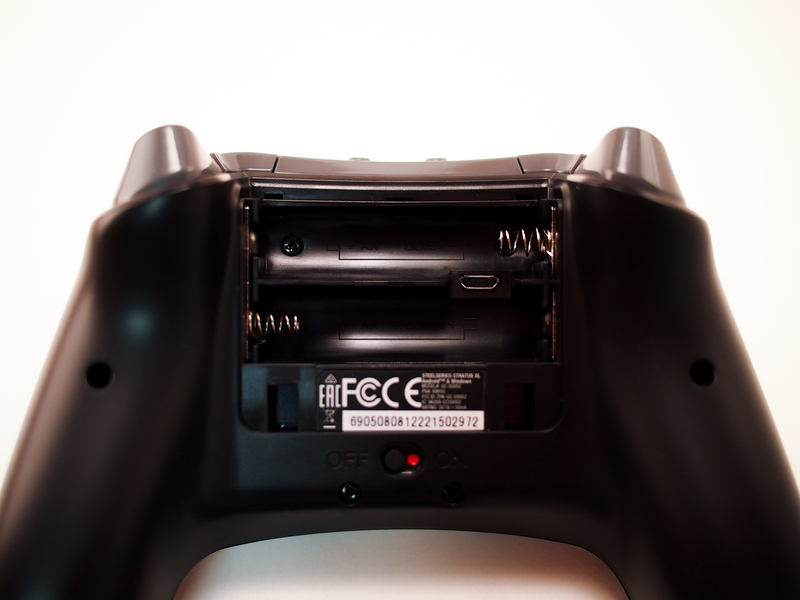 It’s not in the documentation for the controller, but under the battery cover is a USB port. It looked like I could use a cable and then have it connect to my Windows machine like that and for a split second, I thought it did. My PC (Windows 7) recognized the controller and even set up drivers for it, but alas, I could not get it to work with any games. It could be because I need to connect it via Bluetooth, which I don’t have on my computer so until I get a Bluetooth dongle, I won’t be using it much on here just yet. [UPDATE: 2018.03.07] I finally got the Strauts XL to work on my Windows 10 machine. I decided to give it a go and the Bluetooth paired quickly and I had to install the SteelSeries Engine 3 app. I also had to configure some controller settings in the STEAM app to get the controller recognized as an XBOX 360 controller. From there, it seemed to work just like one, so now I’m good to go. 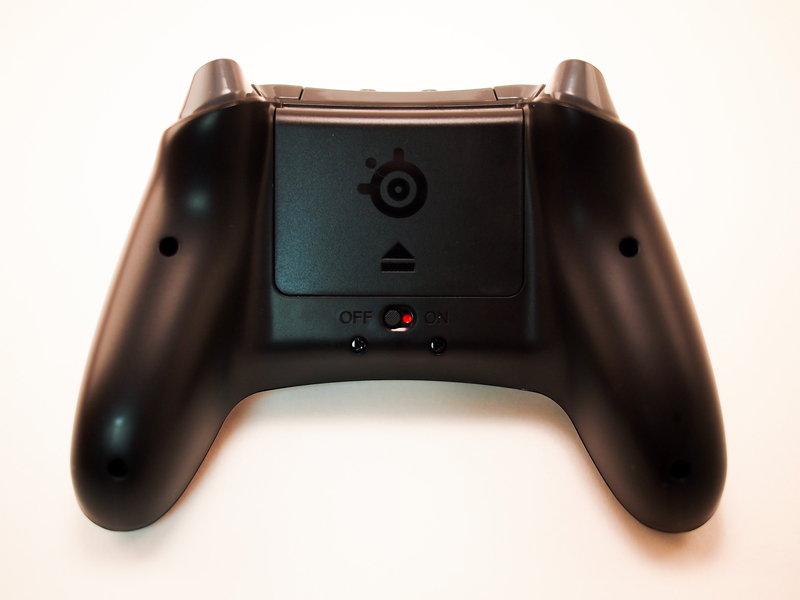 It seems to work well now and is a good alternative to the standard XBOX 360 controller. 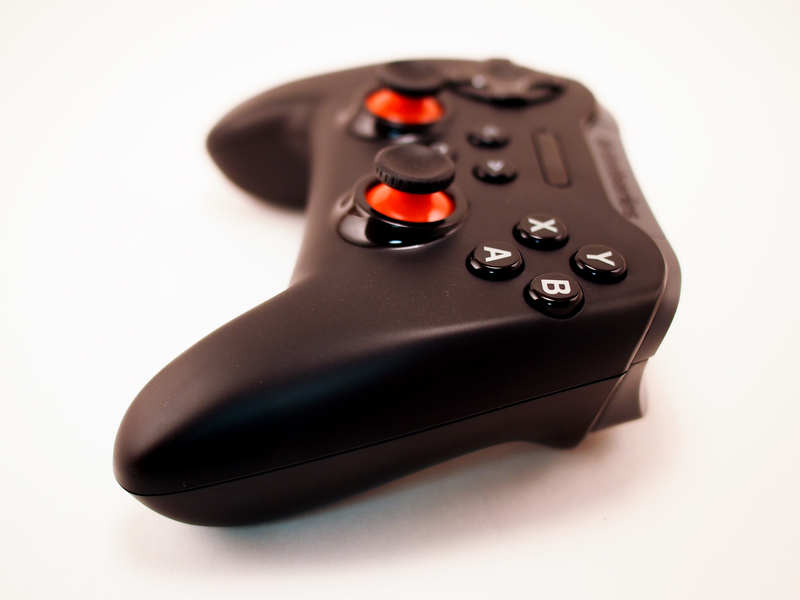 The SteelSeries Stratus XL for Windows + Android is one of the best Bluetooth controllers I’ve seen yet. Everything feels just right in your hands and the hefty feeling of it gives it that feeling of quality. It worked really well for Minecraft on Android with no apparent lag that I could see. It does make gaming on an Android device more console like which I see as a huge plus for certain games. The only negative to the controller is that I can’t quite get it to work with Windows, but I think that might be more of a problem on my end than it is with the Stratus XL. Bluetooth dongles are cheap right now so I’ll pick one up to try. If it does turn out to work really well, I’ll update this review for the Windows portion. So the Startus XL finally works on a Windows machine for me so that means that I can now successfully use it on Windows 10 and Android. So now, not only is it the nest controller I have for Android, but a really good alternative to the XBOX 360 controller for Windows. 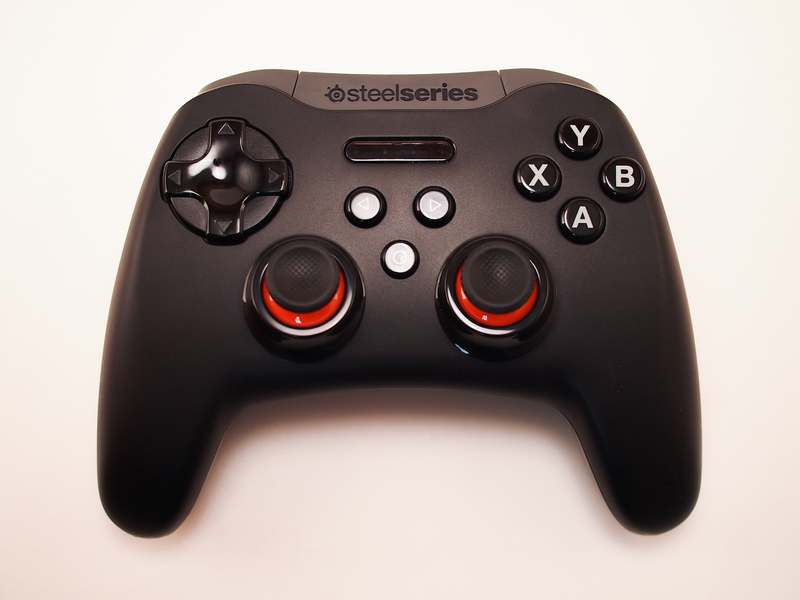 On that note, you can pick up the SteelSeries Stratus XL for Windows + Android for $59.99. That’s actually a very good price for a controller that can be used on two platforms (if I can get Windows part to work).